Ever since I purchased my first boat over 40 years ago, nothing has been more exciting, time consuming and, yes, even exasperating as it has been to narrow down the list to my final choice. 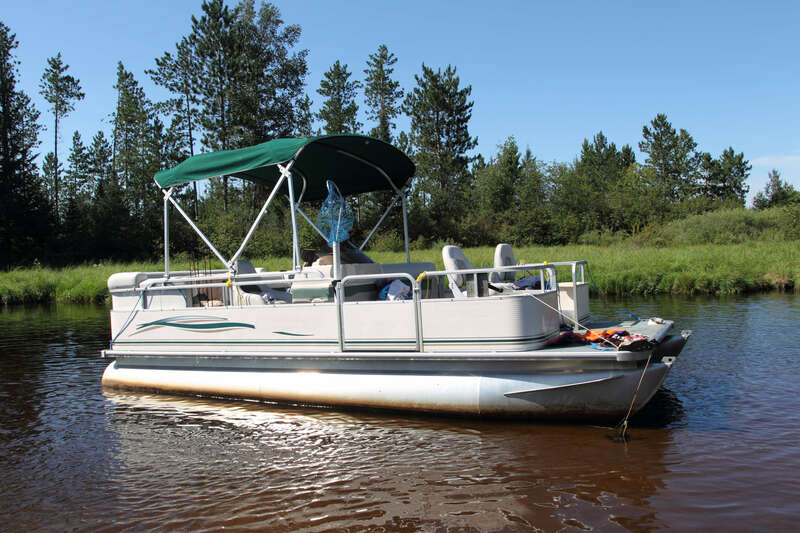 Back in 1972, I began with a 14-year-old 14-foot Crestliner and a 10 hp Evinrude motor. Since that time, I have purchased all brands of boats: Alumacrafts, Lunds, Rangers and Skeeters. 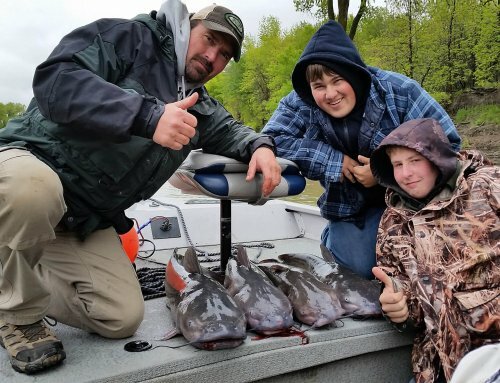 From 17’ tillers to 22’ fiberglass big water walleye boats, they have all served their purpose, and each time I tried to refine my search to give me the most positives. I regret none of my purchases. Then 12 years ago, I began a “boating” journey of a different kind. I began to look at fishable space and comfort, and I started researching fishing pontoons. A friend of mine had one, and after fishing out of it several times, I wanted to try one myself. Right away I can hear a lot of readers going, “A pontoon, ya’ right. 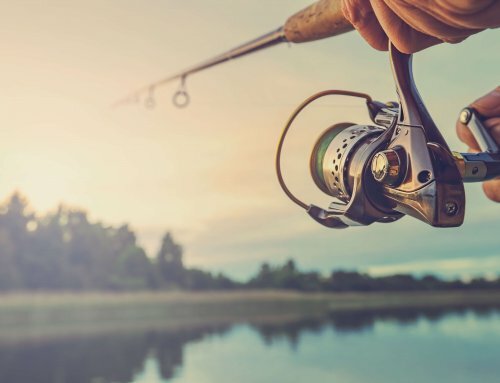 Not on my lake and not for me.” I’ve been on fishing websites and seen the way pontoons have been dismissed and labeled as a bad fishing boat option. I’m here to tell you this: I would never go back. I’m not necessarily trying to persuade readers to do something against the grain. I just want to give you the facts about the positive qualities of fishing from a pontoon boat. So, I ask you to stick with me as we go through my fishing pontoon process. As with fishing boats, there are a whole slew of fishing pontoons on the market. Just check out the Internet and search for fishing pontoons. Several manufacturer websites will come up. As with a fishing boat, you can get into an entry level fishing pontoon pretty reasonably. Prices will go up dramatically as you add upgrade, add special features, size, etc. I’ve gone through the process in pontoon ownership just as I did with my boat ownership: moving up from the entry level to mid-level. Now with my third pontoon, my current one is what I consider top of the line just as boat anglers (as I used to be) look at Lund, Ranger and Skeeter. For me, my Premier 221 Castaway powered with a 115 hp Yamaha 4-stroke is the best fishing option on the market today for the way I fish. It spends most of its time on Big Spirit Lake and West Lake Okoboji. How much fishing space is on a pontoon’s 21’? Well, it’s 21’ long X 8’ 6” wide. That’s slightly over 180’ of surface space. No pointed bow, no loss of space. It’s flat out a 180’ rectangle of fishable space. On my Castaway, each corner has a cushioned fishing chair that swivels, while the left side has a sofa bench that can serve as seating for anglers. The right side has an elevated captain’s chair. I’ve drifted for walleyes with five of us fishing and had plenty of room for everyone. It has a capacity of 11, which definitely would make things crowded. However, I have comfortably fished seven of us slip bobbering for bluegills and perch. There was room all around for each angler to fish two lines if they chose to do so. The Castaway has two livewells: one up front (with a bait bucket) and one in the aft. Rod storage is somewhat limited, but 3-4 six footers can go into the side rod storage. All lifejackets, throwable cushion, rain gear will fit under the left side sofa. Remember, too, that this large rectangle is a flat surface with a railing all the way around. So, even when we’re drifting in a 10-20 mph wind and rolling with the waves, people feel secure enough to be able to get up and walk around. It’s really nice to be able to do this. I rigged my Castaway to best accommodate the way I fish. 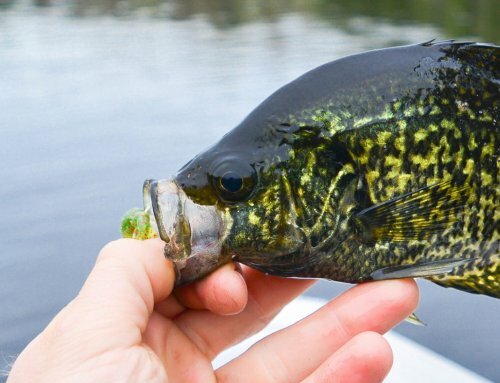 I spend much of the spring fishing for crappies and bluegills until the walleye opener in early May, and then I’m after walleyes until probably mid-July, when I turn to the weedlines and weedbeds in search of panfish and an occasional bass or walleye. So, basically I am a multi-species angler. First off, I took the Humminbird 598CI and put it on the top of the rear fishing station (where the livewell is). It’s centrally placed so that anglers on both sides can look at it. Then off the captain’s station, toward the middle of the Castaway, we put the Humminbird 998C with side imaging on a Ram mount so that I can turn it to the side and to the front if I want. 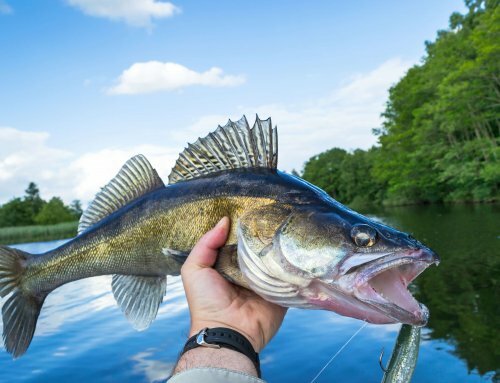 Because I drift and troll for walleyes, I placed seven rod holders at strategic spots on the railing of the Castaway: one in each corner, two about four feet back of the front holders and one about four feet forward of the right rear angler seat. I did not place any on the sofa side, because you can slide a rod into the sectioned part of the sofa and have a “do it yourself” pair of rod holders! Next, since I troll a lot, I added a 60” MinnKota Terrova 80 trolling motor with I-Pilot. Talk about awesome. With the wireless remote, I can control the motor from anywhere I want to fish. I can follow contours, go back and forth over the same course automatically, use spot-lock as an anchor, save waypoints…what an awesome fishing tool. Since I fish walleyes a lot, the I-Pilot takes away a lot of the work and helps offset when there is a cross or quarter wind. 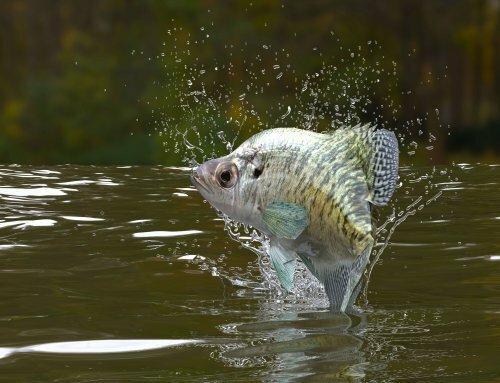 When I fish the bull rushes for bluegills and crappies, the spot-lock makes it a breeze. No more lifting an anchor time after time after time. If I do need an anchor, I have a MinnKota 40 Anchor Mate. With a push of a button it deploys and pulls back up. This is where a lot of people say “good bye to the pontoon.” They feel that a pontoon is nothing but a huge barge that gets buffeted when it’s windy. I will agree that this can be an issue, DEPENDING on the pontoon. Here is why I chose the Castaway. First off, the tubes (toons) are 25” and have patented lifting strakes on the inside of the two tubes, which allow the pontoon to get up on plane faster and increases top speed by about 10 percent. With the 115 hp 4-stroke Yamaha, top speed is 26 mph. I know that’s not 60 mph like some of the big walleye boats go, but if I added PTX performance package (third tube) and went with a 175 hp motor, I’d probably run close to 40 mph. However, even at 26 mph, I’m going faster than several of my early boats. The 115 hp 4-stroke also works great for slow or fast cranking with planer boards in the summer. How does it handle in the wind? Well, 2’ waves are nothing with 25” tubes. You don’t even know the waves are there. The lifting strakes get the Castaway up quickly, so that the waves don’t spray the passengers. I took a couple out for a demo ride on a day when there were 2’ waves. Nobody got wet, and we went every direction. Next how about the 3’ waves that come with the 10-20 mph winds on Big Spirit? Again, get up on plane, and the tubes cut the waves and the waves hit under the deck. Certainly, if you go sideways at full speed in the wind, there will be spray coming up. So, you quarter and do what you need to do. However, there is no bucking or hammering the passengers. How is drifting? Well, in up to 3’ waves, the Castaway will drift at .8 to .9 mph based on what my gps says. I’ve been drifting in an area with other boats and found them to need boat brakes to slow them down. I’ve not had to do that. That’s perfect, as far as I am concerned. I have found that the Castaway sits solidly in the water and does not get buffeted around by the wind. This was one of my major concerns. How will it load and unload. Well, with a custom bunk trailer and loading guides, even when there is a wind, just get the pontoon on the bunk and the guides straighten it right out. Certainly, just as I did with my previous boats, I try to launch and load from the calmer side of the lake. It trailers easily, and even with wind a tie-down on each side in the back will make sure it stays in place. The only negative I can find is its size when you want to store it in a garage. You need to have a higher door opening and, of course, have the length of garage to handle it. If, however, you want to leave it out, putting on the cover is the easiest and slickest I have ever used. No more snaps. Instead, the exclusive J-Clip™ canvas cover fastening system is so easy that one individual can put on the cover alone. Those are all of the reasons that I chose to switch to a pontoon and made my latest move to a 221 Premier Castaway. It’s the ultimate boat for me. Oh, and I never have to worry about the drain plug not being in!